The CBO said the ObamaCare repeal bill would leave 22M uninsured | Circa News - Learn. Think. Do. 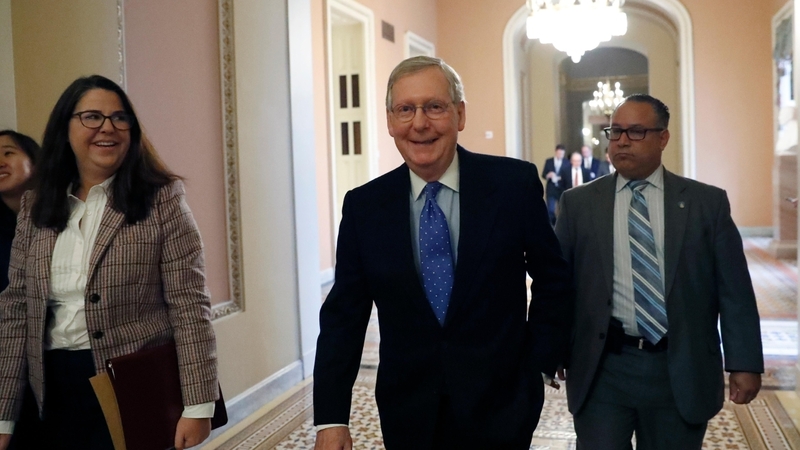 The Congressional Budget Office (CBO) on Monday released its analysis of the Senate’s bill for repealing and replacing ObamaCare, according to Politico. The CBO reportedly estimated that the legislation would result in 22 million more Americans lacking health insurance over a decade. The Senate bill would also purportedly cut the federal deficit by $321 billion over 10 years, largely off deep reductions to Medicaid and shrinking subsidies to help people buy insurance. Media members on Monday weighed in on the bill's impact on the U.S. healthcare system. Sen. Brian Schatz (D-HI) on Monday tweeted out criticism of his Republican colleagues’ legislation following the CBO’s analysis. Politico on Monday reported that the CBO’s analysis of the Senate bill is a slight improvement over the House’s version, which it predicted would leave 23 million people uninsured by 2023. The CBO’s analysis also reportedly discovered that the Senate version exceeded the $133 billion in federal deficit cuts required by the House. The nonpartisan agency’s analysis will likely intensify the debate over the Senate’s ObamaCare repeal and replace package heading to an expected vote before the July 4 recess. Senate Majority Leader Mitch McConnell (R-KY) can only afford two GOP defections assuming all Democrats oppose the bill and Vice President Mike Pence then breaks a tie. Five Republican senators oppose the legislation, according to The Hill’s whip list, while 22 remain undecided or unclear on the issue.